Provenance and The Oxyrhynchus Papyri. This in response to a post by David Meadows at the Rogue Classicism blog, which I noted here. Among the ancient Greek manuscripts in the Beinecke Library at Yale University is a fragment of a leaf of a papyrus codex containing the book of Genesis. It constitutes another interesting case of palaeographic analysis, both for the variety of opinions among experts and the changing of opinions by individual palaeographers. Yale purchased the piece (P.CtYBR inv. 419, LDAB 3081) as part of a lot of a few hundred papyri in February of 1931 from the Cairo dealer Maurice Nahman, but it was not published until the 1960s. In the case of the Chester Beatty tax codex, the reuse of the codex was of a documentary nature. 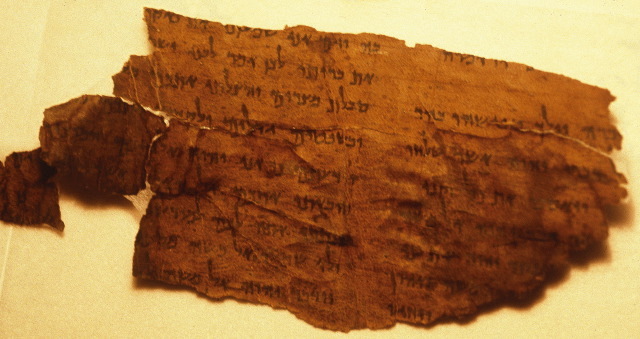 There are, however, some examples of Christian literary works that were preserved in this type of codex composed of reused documentary materials. I will discuss them in future posts. Periodically I hear people say that blogging is an outdated medium that is on its way out. I don't believe it. In any case, PaleoJudaica's fifteenth anniversary is coming soon. More on that in due course.